This story takes place about thirty-five years ago in a small Romansh-speaking Alpine village. The unnamed child narrator and his brother are allowed to roam the village without any intense supervision or over-programming; this is free range parenting at its finest. The boy treats us to all of the pleasures, innocence and adventures of childhood. We are told about the variety of interesting characters that inhabit this small village, from Giascep the seller of nails, to Alexei the hairdresser, to the boy’s aunt who runs the local restaurant. The prose is very simple with short sentences that form paragraphs that each read like a small story or a vignette. The narrative is basically a series of stories from a year in the boy’s life; it seemed to me that the boy is about 8 or 9 years old, but he never gives his exact age. The boy tells us a few stories, for example, about his pet rabbits and his eager anticipation of the doe having baby rabbits. When the doe finally produces twelve babies, the boys can’t help but touch the babies and hold them. When they babies disappear they are told, much to their horror, that the mother ate the babies because she caught the scent of the boys on her babies. From that point on the boy is afraid to touch any baby, whether it be bunny or human for fear that the mother might consume its offspring. One of the aspects that I liked most about the book is the close-knit relationship between the boys and their family. The boys roam around the village day after day and cause all sorts of ruckus, but they always stick together and never fight with each other. They are also very close to their grandparents, “Nonno” and “Nonna”; Nonno makes rakes for a living and only has 7.5 fingers because the others got caught in his band saw. One of the funniest scenes in the book is when the boy unexpectedly visits his grandmother and finds her standing naked in her kitchen–it’s quite an awkward moment for them both and although he knows he should look away he just can’t. The other aspect of the book that is humorous yet demonstrates the purity and innocence of childhood is the boy’s observations about religion. Although Nonno and Nonna are devout Catholics who go to church every week, the boys’ parents do not make them go to mass every Sunday. This horrifies Nonno who is afraid that they boys will turn into heathens. The boy isn’t really sure what goes on at Mass or what it means, but he is hoping that if he puts some holy water into his old dog’s water bowl that he will live a little longer. When the boy does once make it to mass he has some interesting observations about the ritual. He calls the communion wafer a “cookie” and the wine “schnapps” and is pretty sure that the priest’s incense burner is used for holding lit cigarettes. 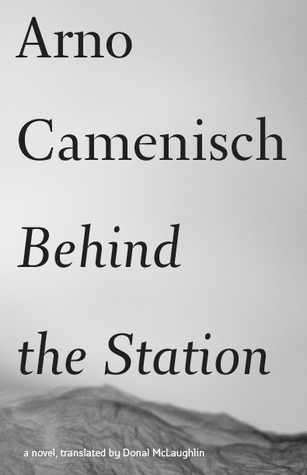 Camenish has written a delightful and humorous novella which captures the innocence, fun and simplicity of childhood and of village life that can be universally appreciated. It does sound delightful! I’m putting in my TBR list. Thanks for the tip.